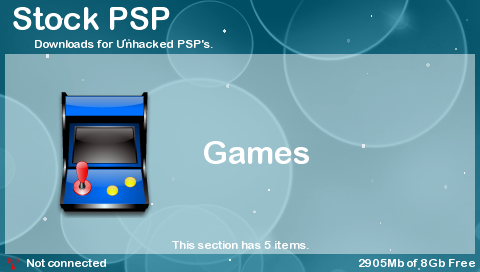 Homebrew developer spike_132000 is back on the scene to release a new version of his nifty app, PSPInstaller, a Cydia-like app for your homebrewed-enabled PSPs that allows you to install homebrews, themes and plugins easily. Remove any previous installations of PSPInstaller from the GAME folder. If using PSPGo internal memory, ensure you change the media type to suit this.